Owen Coyle surely knows that the npower Championship is not an easy place for a football manager. He has been there twice before. In the 2008-09 season he was successful, taking Burnley back to the top tier of English football for the first time since 1976. Just over three years later his inability to halt his team’s slide down that same division caused his release by Bolton. If a manager is looking for longevity at a football club he should steer clear of the Championship, where the average length of stay is much lower than in the Premier League and Leagues 1 and 2. Statistics provided by the League Managers Association put the average length of stay for a Championship club manager at a mere 1.16 years. 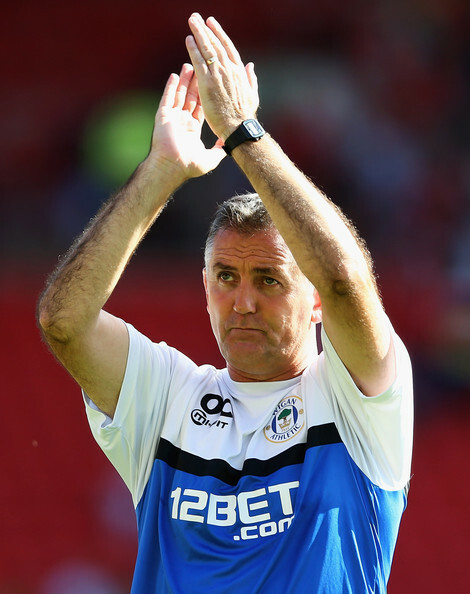 The likelihood is that Coyle will spend no more than a year as manager of Wigan Athletic in the Championship. He was appointed on a one year contract with the brief of getting the club back into the Premier League. If he fails to do so it is unlikely that he will stay. If he were to win promotion Dave Whelan would then need to decide if he were the right man to lead the club in the Premier League. Can Coyle succeed in reaching the goal of getting the club back into the top flight? Let’s take a look at his progress so far. The grades go on a scale from A (excellent) to E (poor). Coyle was faced with an uphill task when he arrived. The playing squad had been decimated over the summer through players leaving at the end of their contracts. Moreover three of the senior professionals he inherited were recuperating from treatment for long-term injuries. Coyle has done a remarkable job in bringing in twelve new players, including two on loan. All the players he has brought in are suitable for a Championship promotion run. Some players came in at the ends of their contracts with previous clubs, others for bargain fees. Moreover he has left the club in a good position financially. The funds he received for the transfers of Mauro Boselli, Arouna Kone and James McCarthy by far outweigh what he has spent on new signings. Although the transfer window is now closed Coyle continues to scour the market for further loan signings. When the window opens again in January he will be in a position to spend money were the right player to become available. Coyle might lack the charisma of his predecessor, but he is eloquent and comes over as a bubbly, positive person with the media. He has made a point of recognizing the importance of the fans. His warm briefing to fans on the aeroplane to Belgium was something special. Latics are currently in 11th place in the Championship, but have a game in hand. At home their record is W2 D2 L0, with an away record of W1 D0 L2. They got a good result in their first-ever Europa League match, drawing 0-0 against Zulte Waregem in Belgium. They lost 5-0 at Manchester City in the League Cup. Although Coyle’s primary goal is promotion to the Premier League he also has an obligation to fans to ensure that Wigan give a good account of themselves in the Europa League. Few supporters will be upset with the club’s exit from the League Cup, given that it was Latics’ third game in six days. Results over the next three months are likely to be unpredictable, with so many matches to play in a packed calendar. However, by January the three long-term injured players – Al Habsi, Caldwell and Ramis – should be back in action and the six matches in the group stage of the Europa League will have been completed. The transfer window will reopen and new players can be brought in to supplement the squad. Latics need to be in at least a mid-table position in the Championship by the end of December if they are going to make a push towards promotion. Coyle has done well in making sure that there are at least two players competing for every position. The players he inherited are experienced Premier League players, capable of excelling in the Championship. Many of the players he has brought in had ample Premier League experience; others had performed at good levels in the Championship. The squad is particularly high on quality in the areas of goalkeeping and midfield. It is currently light in the area of strikers. Coyle has recruited largely British or Irish players. Of the three from outside the British Isles two speak good English. Many of the overseas players brought in by Martinez left in summer. The benefit is that fewer players are going to come back jet-lagged and exhausted after international breaks, which was problematic in the Martinez era. The higher proportion of British and Irish players is going to change not only the languages spoken in the dressing room, but also the style of play. Coyle has already been unlucky in having key attacking players ruled out by injury. Callum McManaman is still not fully fit and injuries to Grant Holt, Marc-Antoine Fortune and Shaun Maloney have made life difficult for the manager. The challenge for Coyle is in uniting the new players with those he inherited. Let’s hope there is no truth in the rumours of rifts between the two camps. When a new manager comes in he usually brings with him his own tactical stamp. None has been evident from Coyle up to this stage. It is still early days but Latics lack a defined playing style. The one consistent feature has been playing with a flat back four. He has put in lineups without attacking width, other times using two wingers. The norm has been a lone centre forward, but he has also fielded twin strikers. Before James McCarthy went to Everton he was played in a more advanced midfield role, before being brought back to playing in his more accustomed role in front of the back four. Despite having two specialist left backs in the squad Coyle has played Jean Beausejour, a wide midfield player or wing back, in that position. Much of the football that Latics have played so far this season has been drab. Despite having by far the best squad of midfield players in the division, Coyle has not used them effectively. It is an indictment on the tactics that Coyle has used that the goalkeeper, Scott Carson, has been the outstanding player so far this season. Constantly chopping and changing the tactical scheme has created a lack of order. It is exactly what is not needed when you have so many new players coming in who are unaccustomed to playing together. It has been a shock to see how a midfield brimming with talent has been so often eclipsed by opposition players of lesser calibre. The defence has lacked coordination and has been vulnerable to lofted high balls. The players seem to be unsure if they are going to build up moves by playing the ball out of defence or by playing the long ball. There have been frequent occasions when the centre backs have tried to build up from the back, but when the goalkeeper has got the ball he has gone for the long kick. The net result has been an inconsistency in approach. We have not yet seen their best from most of the new players that Coyle has brought in. Moreover the players he has inherited have performed at nowhere near the levels they are capable of. Maybe some of them thought life would be much easier in the Championship? Coyle has not been afraid to make changes to his starting lineups – some would say he has made too many. However, in doing so he has sent the message that nobody’s place is guaranteed. Given the number of games to be played over the season he will need to use the full depth of his squad. It is to be hoped that the rotations he makes to the starting lineups over the coming weeks are well planned and get the best out of his players. In recent games we have seen Latics ‘playing ugly’ and getting results. Although the players have not been at their best they have at least shown resolve and spirit. Those qualities matched with a sound tactical approach are what is needed for Latics to be successful this season. There is a wealth of technical ability in the squad that needs to be channeled. Coyle has done well to put together a squad that matches that of any other in the division. Providing he gets the best out of his players, promotion to the Premier League is a distinct possibility. Once Latics have a consistently defined tactical plan the players are going to respond more effectively. This is not to suggest that they should always use the same tactical formation. There always needs to be a Plan B. In order to succeed in the Championship a club needs quality players who are not easily deterred and ready to fight for the 50-50 ball at all times. The challenge for Coyle will be not only to make sure his players show the necessary determination and resilience, but that he gives his technically gifted players the opportunity to express themselves within a structured tactical framework.